Ratos’s subsidiary Plantasjen is acquiring SABA Blommor AB, one of the leading service providers of in-store solutions for flowers in Sweden. With over 700 points of sales across the country, mostly in the grocery segment, the acquisition propels Plantasjen’s journey from garden center into a leading brand for plants. Plantasjen is strengthening its position through the acquisition of SABA Blommor AB from SABA Logistics, a Dole Food Company. The company has approximately 160 employees, and an annual turnover of approximately SEK 330m. With the acquisition Plantasjen’s offer leaps from 40 garden centers to over 700 points of sales. “Through combining SABA’s more than 700 points of sales and competence as a leading supplier of flowers to the grocery segment, with Plantasjen’s industry leading supply-chain and know-how of plants, we will increase the availability for our customers. The acquisition is an important part of our strategy to create a unique offering with an outstanding supply-chain and increased market presence for more people to enjoy life with plants,” says Plantasjen’s CEO Jon Abrahamsson Ring. In addition, SABA is not present in Norway and Finland where grocery sales of plants are less developed but fast growing which provides additional opportunities for Plantasjen’s growth going forward. “Both Adams and Godtlevert.no have since the start had a strong ambition and desire to increase the competition in the Norwegian grocery market. Through this merger, we will become a real contender to the established grocery chains”, says the Godtlevert.no founder Kjetil Graver. 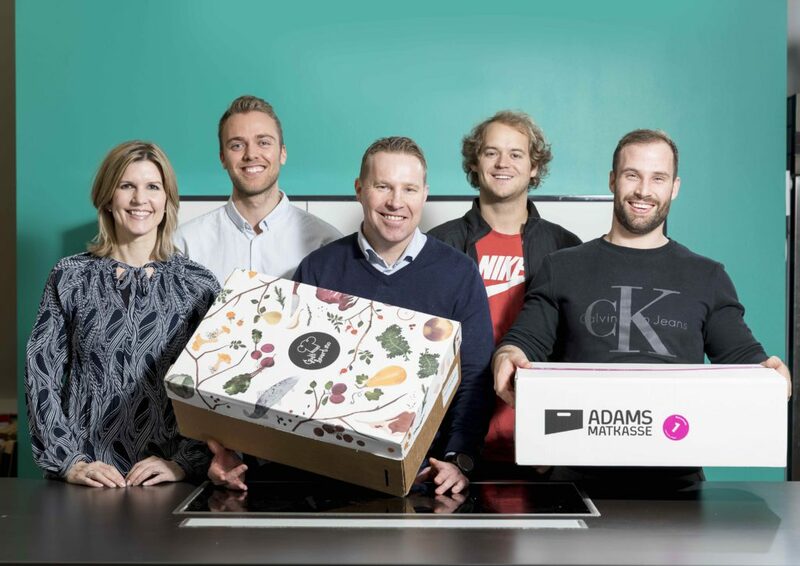 He is convinced that the merger will result in substantial cost synergies, which is crucial to compete against the grocery chains’ scale advantages.Kjetil Graver and his co-founders are now merging the company they established in 2010 with the Bergen-based dinner bag provider Adams Matkasse. The shareholders of Godtlevert.no will receive shares in Linas Matkasse as payment. Linas Matkasse, a company backed by the Norwegian private equity firm Herkules Capital, owns more than 90% of Adams Matkasse.Adams Matkasse and Godtlevert.no have an annual revenue base of NOK 330 and 390 million and close to 25 000 and 30 000 customers respectively. The two brands will continue to operate as separate concepts, and resources will be committed to further strengthen and enhance the two brands.Adams Matkasse has 74 employees, while Godtlevert.no employs about 65 people. Both companies have during the last years focused heavily on finding local suppliers across the country who have a great sense of traditional heritage. This has contributed to additional growth and has increased employment at several smaller food suppliers outside the larger cities. The European online printing market is growing and will continue to win significant market share from offline competitors in the years to come. Rotterdam-based Helloprint is a key player in the industry and one of Europe’s fastest growing online platforms, offering more than 2,000 products via its network of over 100 international printers. To increasingly benefit from the positive market development, Helloprint has entered into a long-term partnership with Bregal Unternehmerkapital and Project A, the Berlin-based venture capital investor, who are investing several million euros to acquire a minority stake in Helloprint via their holding Onlineprinters. This investment will provide Helloprint with additional financial and strategic resources to continue accelerating its growth and to expand its platform business more rapidly. Currently, Helloprint provides printed products to more than 150,000 customers in the Netherlands, Belgium, France, Italy, the UK, Spain, Germany and Ireland. Helloprint will use the injection of capital to enhance its IT systems, grow its team and implement new customer acquisition efforts. Thanks to the company’s service-oriented platform model, Helloprint is able to grow without major capex investments. The new funding follows a seed financing round providing start-up capital and several million euros in series A financing by private investors. Bregal is excited to have found another strong partner in a very promising market and is looking forward to actively supporting Helloprint in its growth ambitions. 3i Group plc (“3i”), and funds managed by 3i, today announce the sale of ESG, a UK based provider of testing, inspection and compliance (“TIC”) services, focused on Infrastructure, Built Environment and Energy & Waste to Socotec, a French headquartered, global leader in Inspection, Measurement, Certification and Training. Proceeds to 3i total £30m, which represent a 23% uplift on its December 2016 valuation and a 39% uplift on its March 2016 valuation. The transaction is due to complete later this week. “During our investment period, ESG has cemented its position as the market leader in the provision of TIC services to its chosen sectors in the UK. I would like to thank Ian Sparks and his management for their significant commitment over the last few years, and I wish them well through the next phase of ESG’s growth with Socotec”. “3i has been an extremely supportive partner to ESG and their in depth knowledge of the TIC sector has been invaluable in helping support our ambitious growth plans. The business is well positioned for future growth and I am looking forward to continuing to deliver for our clients as part of the Socotec group”. 3i’s advisers on the transaction were DC Advisory (financial adviser), Travers Smith (legal), KPMG (financial, pensions & IT), Deloitte (tax) and OC&C (commercial). 3i’s Private Equity team provides investment solutions for growing companies, backing entrepreneurs and management teams of mid-market companies with an EV typically between €100m – €500m. We back international growth plans, providing access to our network and expertise to accelerate the growth of companies across the consumer, industrials and business and technology services industries. This transaction involved a recommendation of 3i Investments plc. Investinor’s portfolio company BerGenBio announces its intention to launch an Initial Public Offering and apply for a listing on Oslo Stock Exchange. Completion of the IPO will be subject to receiving the relevant approvals from Oslo Børs as well as prevailing equity capital market conditions. Read the full announcement at OSE’s website. BerGenBio is a clinical-stage biopharmaceutical company focused on developing a pipeline of first-in-class drug candidates to treat multiple aggressive cancers. drugs. Tumours with these characteristics are the cause of the majority of cancer deaths. aggressive. This approach presents the Company with an opportunity to create new therapeutic options for cancer patients. The Company is also developing a pipeline of additional Axl inhibitors, including an anti-Axl kinase antibody and antibody drug conjugate (ADC), which are currently in preclinical stage. inhibitor in clinical development, has already delivered encouraging clinical data in patients with AML/MDS and NSCLC, indicating it could provide an important new improved treatment option for these indications. existing shareholder has indicated that it will offer strong support through the IPO of the Company. ABG Sundal Collier, Arctic Securities and DNB Markets are acting as Joint Global Coordinators and Joint Bookrunners in the IPO. The information contained in this announcement is for background purposes only and does not purport to be full or complete. No reliance may be placed for any purpose on the information contained in this announcement or its accuracy, fairness or completeness. 3i Group plc (“3i”) today announces that it has agreed to invest €120m in Lampenwelt, the largest European online specialist in the lighting space. 3i will invest alongside management and one of the current owners of the business, Walter Neumüller. In addition, 3i will provide a short term refinancing loan to Lampenwelt of €54 million which is expected to be refinanced shortly after completion. Founded in 2004 by Thomas Rebmann and his brother Andreas Rebmann, Lampenwelt is the #1 specialty online retailer of lighting products in Europe. The company is headquartered in Schlitz near Frankfurt am Main, Germany. From there, it distributes own-brand and 3rd party products to customers in 12 countries across Europe. Following the transaction, the company will retain its global headquarters in Schlitz and will continue with its plans to open a new warehouse in Schlitz in the coming months. Lampenwelt differentiates itself from its competitors through an extensive range of over 45,000 products, in-depth product knowledge, excellent customer service and high product availability. The company generated €61m of sales in 2016, of which 45% came from outside Germany, and has grown strongly in Germany and through a steady roll-out across Europe in recent years. 3i has been following Lampenwelt’s successful growth for several years and during 2016 approached the company to discuss a potential investment in the business. 3i was therefore able to undertake its diligence outside of a formal sale process, with full access to the business and senior management. Lampenwelt’s growth plans fit well with 3i’s strategy of supporting mid-sized companies to grow internationally. Jochen Wilms, a seasoned expert in both the building supply and online industries with prior experience at Bertelsmann, Schüco and Grohe, will join the board as Executive Chairman and co-invest alongside 3i and management. Thomas and Andreas Rebmann will continue in their roles as CEO and COO respectively. The transaction is subject to customary and anti-trust approvals. Lampenwelt is the largest specialty online retailer of lighting products in Europe. Headquartered in Schlitz near Frankfurt am Main, the company generated €61m sales with around 240 employees in 2016. Lampenwelt is led by the brothers Thomas and Andreas Rebmann, who founded the company in 2004. Lampenwelt delivers over 45,000 own-brand and 3rd party products to customers in 12 countries across Europe. Kinnevik AB (publ) (“Kinnevik”) today announced that it has invested USD 12.5m as part of a USD 52.5m funding round in Livongo Health Inc. (“Livongo”), a California based consumer digital healthcare company helping people with diabetes to live healthier lives. Kinnevik will own 3.5% of Livongo after the funding round. The financing was co-led by Kinnevik and existing investor General Catalyst. Livongo is a digital chronic care management platform that provides diabetes patients with a personalized, end-to-end service, from measurement of blood glucose levels to real-time, contextual feedback and access to live coaching by certified diabetes educators. Diabetes is one of the largest chronic diseases in the world affecting more than 400 million people. Livongo is helping more than 25,000 patients manage their diabetes and counts almost 15% of Fortune 100 companies amongst its fast growing client base. 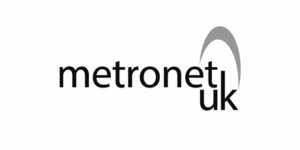 Metronet (UK), the UK’s fastest growing connectivity and internet infrastructure provider, backed by mid-market private equity firm Livingbridge, today announces its acquisition of Venus Business Communications, a leading high growth fibre network provider. The acquisition of Venus follows Metronet (UK)’s £47.5m purchase of leading internet infrastructure and hosting company M247 in October 2016. Venus will provide the Group with access to the strategically important London market as it seeks to build a national disruptive platform with ‘last mile’ control, faster connectivity and communications to end users and a powerful transit network across Europe. Venus will add six new strategically important datacentres to the Group’s network so that, following the acquisition, Metronet (UK)’s network is now connected to all key strategic UK data centre locations as well as 14 of the world’s largest and most important Internet Exchanges. Founded in 2005 by telecoms entrepreneurs Brian Iddon and Justin Keery, Venus covers all of central London and the City, providing superfast, high speed fibre at up to 10 gigabit/sec, almost 100 times quicker than the leading alternative broadband connection. Venus is delivering revenues of £7.8m and supplies companies across a range of sectors including design, media, broadcast and financial services who place a particularly high value on low latency communications. Metronet (UK) operates the most advanced hybrid ISP network in the UK and, by combining its unique offering of wireless and wired technology, is able to offer scalable connectivity solutions that are typically implemented five times quicker than traditional fibre and copper based services. As an organisation, it prides itself on connecting businesses through innovative, integrated technology for enhanced productivity. It does this through a number of complementary products and services, including; connectivity, hosting, voice and security; enabling businesses to access the tools they need to succeed on a 24/seven basis. The combined Group will now employ around 230 people across six sites including Manchester, Newcastle, London and Bucharest. It will support almost 34,000 customers across 92 countries, from SMEs to Enterprise clients including Intu, On The Beach, Sofology and ao.com, and deliver revenues of nearly £50m. Livingbridge first invested in Metronet (UK) in June 2014 as part of a £45m secondary buyout of the firm. Follow on funding to support the Group’s acquisition strategy and the investment in Venus has been made by the Livingbridge 5 fund. Essex / Neustadt a. d. Aisch – Onlineprinters, one of Europe’s largest B2B online printing companies, is about to acquire Solopress, a leading player in the UK online printing market. Solopress was founded in 2004 and has grown significantly in recent years reaching 225 employees in 2016. With “print delivered tomorrow” Solopress is uniquely positioned to fulfil customer demand for speed and quality. Solopress’ founders Aron Priest and Andy Smith will continue to lead Solopress as Managing Directors and become shareholders of Onlineprinters Group. Last year Bregal Unternehmerkapital became the new majority shareholder of Onlineprinters partnering with Project A and founder Walter Meyer to lead the company to its next phase of growth. The parties involved in the acquisition have agreed not to disclose details of the transaction. Solopress has grown year-on-year and won seven prestigious awards, including ‘Business of the Year’ and ‘Business to Business of the Year’. Onlineprinters was awarded for excellent customer service several times in the past few years and has earned many commendations by renowned media outlets. Onlineprinters GmbH is one of Europe’s top online print providers. In line with the motto “Print simply online!“ the company sells printed products to 600,000 customers in 30 European countries through its 16 web shops. Internationally, the company is known under the brand name “Onlineprinters“; in Germany it operates under the name “diedruckerei.de“. The product range comprises of 1,400 printed products from business cards, stationery and flyers to catalogues, brochures and large-format advertising systems. The formula to successfully produce customised prints in terms of Industry 4.0 rests on three pillars: online sales, fully integrated production from ordering to shipping and gang run printing. The latter uses so-called combined forms to collectively produce print jobs, therefore minimising costs and reducing the environmental impact. Selected products allow customers to choose the option of same day printing (produced on the same working day), overnight delivery, climate neutral production and custom size specification. Onlineprinters GmbH employs 650 staff and produces over two billion printed items per year. Bregal Unternehmerkapital is part of a family-owned business that has been built up over generations. Its investment activity is based on long-term commitment and independent of developments in the financial markets. Bregal Unternehmerkapital identifies companies, with strong management teams, that are regarded as market leaders or “hidden champions” in their particular segment. Flexible financing and transaction structures enable it to acquire both minority and majority stakes. In doing so, Bregal Unternehmerkapital is also able to handle complex industry spin-offs, management buy-outs and succession situations in a sensitive, non-dogmatic manner. Bregal Unternehmerkapital aims to help companies to achieve a sustained improvement in sales and profitability, and provides them with capital, proven financial expertise and access to a broad network of entrepreneurs and industry experts. Project A is an operational VC that provides its ventures with capital, an extensive network and exclusive access to a wide range of operational expertise. The Berlin-based investor makes use of the €260m in assets under its management to back early-stage companies in the digital technology space. With its unique organizational structure featuring 100 operational experts, Project A offers its portfolio companies hands-on support in the areas of IT, Marketing & Brand Building, Business Intelligence, Sales and Recruiting. The portfolio includes companies such as Catawiki, WorldRemit, Tictail, Contorion, nu3, Lostmy.name and ZenMate. More about Project A on www.project-a.com and on our blog insights.project-a.com.